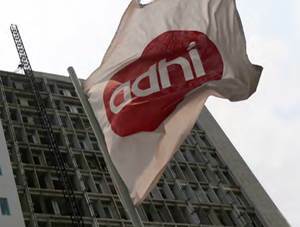 PT Adhi Persada Properti performance achievement throughout 2015 showed satisfactory results. According to PT Adhi Karya (Persero) Tbk Annual Report 2015 as cited by JobsCDC.com, PT Adhi Persada Properti registered a 122.25% growth in total assets value of Rp 3,184.96 billion in 2015. Total assets in 2014 amounted to Rp 1,431.66 billion. D3/S1 Communication and Informatics Engineering, with the minimum GPA of 3.00 (scale 4.00). Competent in the use of Microsoft Office, especially Microsoft Excel. Minimum 1 year of experience in the similar field. Have a strong communication skill. Placement at Bekasi West Java. D3/D4/S1 Civil Engineering, with the minimum GPA of 2.90 (scale 4.00). Previous experience in the field of business development is preferred. Competent in the use of Microsoft Excel. Single/not married with the maximum age of 30 years old. D3/D4/S1 Accounting, with the minimum GPA of 3.00 (scale 4.00). Proficient in accounting and corporate financial reporting softwares. D3/D4/S1 Finance, with the minimum GPA of 3.00 (scale 4.00). JobsCDC.com now available on android device. Download now on Google Play here. Please be aware of recruitment fraud. The entire stage of this selection process is free of charge. PT Adhi Persada Properti - Admin, Project Control, Accounting, Finance ADHI Group April 2017 will never ask for fees or upfront payments for any purposes during the recruitment process such as transportation and accommodation.